First, it was trying to read distorted text; later came the need to prove that we are human with a single click; and now comes the reCAPTCHA3, the third version of reCAPTCHA, the system created by Google to identify if a user is real or it is a bot, where the interesting thing is that they ensure that for this new version we will not need to prove that we are human, since the system would be able to know it thanks to our interactions with the website. Google is announcing the update of its API for the verification tool reCAPTCHA, which reaches its third version facilitating the management of harmful traffic on websites, where the attraction is that now it will not request that its visitors show that they are human. According to Google, reCAPTCHA v3 will no longer ask for interactive tests, since everything will now be based on a scoring system assigned automatically to each user. This score will be based on interactions with your site and will be ranked based on a score of 0.0 to 1.0, where a 1.0 is a good interaction, while a score closer to 0.0 will indicate that the traffic was most likely generated by bots. The interactions that will serve to determine the score of each person or visitor range from the movement of the mouse, to the time spent in each section of the site and the clicks it makes. Google says that this system has a greater degree of intelligence, so it will be possible to stop interrupting the flow of users and improve their interaction with the various websites. They affirm that this new API will also give more control to the administrators of the websites since they will be able to see the scores of their visitors and thus be able to determine if they are receiving real or harmful traffic. Also, they can generate scripts to perform automated actions based on the traffic score, where for example, if they receive a visitor with a low score, a script can be enabled to require two-factor authentication or email verification. On the other hand, and taking advantage of the null interaction that will exist with this authentication system, reCAPTCHA v3 can be enabled in various sections of the websites, from the comments section to the logins, as well as purchases or the determination of qualifications. By default, reCAPTCHA3 will use a threshold of 0.5 points, and any visitor with a lower score will need to prove that it is human, but this threshold can be customized. Another advantage, according to Google, is that it allows combining the scores with our own signals of interactions of our users. 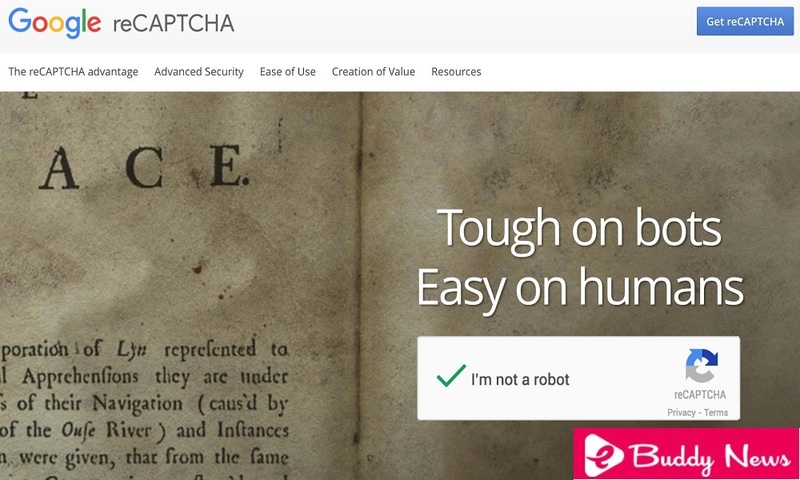 And finally, reCAPTCHA v3 will have the ability to train our own machine learning model to combat abuse. The reCAPTCHA v3 API is available today and all the details can be found on the Google Developer site.